How can you tell the amount of legroom you will be able to find once you take your seat on the plane? What about seat pitch? Are these two concepts, i.e. legroom and seat pitch interchangeable? First of all, let us kick off with some technicalities. Seat pitch is, after all, a technical term that is employed by carriers and which refers to the intervening space existing between the back of your seat and the back of the seat in front of you. Or, in other words, seat pitch is nothing more but the distance between one seat and the same point on another seat directly in front or behind. To our mind, this definition is eloquent enough and needs no further interpretation to understand what “seat pitch” is. If, so…why should we need to write or read an entire article on it? Allow us to puzzle this out. The mere fact that “seat pitch” is frequently interpreted as “legroom” persuaded us to make an attempt at tying up the loose ends. These two are not exactly synonyms. Legroom is in fact the space available for passengers to stretch their legs while seated. Thus, if you want to enjoy more legroom, you should be looking for the seats that have the LARGEST PITCH. But do mind that pitch includes not also your legs but also the seat back and cushions, as well as the tray table. Furthermore, a quick glance at a seat map will let you know that the exit row seats usually have plenty of room. However, if you’re to sit in a regular seat you’ll note that you won’t be able to enjoy as much space. Seat pitch will therefore point out how much legroom you’ll be able to enjoy during your flight. Then, seat pitch varies in so far as regular economy seats are concerned. For instance, low cost carriers such as Jetstar will have a minimum seat pitch of 29 inches. Click here for detailed seat maps and and cabin plans for Jetstar Airways on its major flight routes. Other carriers, such as British Airways, have a minimum seat pitch of 34 inches is the minimum for long-haul flights. Click here for detailed seat maps. Thus, the majority of the airlines have a seat pitch, in so far as economy seats are concerned, of 29 to 34 inches (74 to 89 cm). Indeed, more seat pitch is equivalent to more legroom. However, the amount of legroom a passenger enjoys on a plane is by all means affected by the THICKNESS OF THE SEAT BACK. Generally speaking, the carriers that reduce seat pitch usually declare that their thinner seat-back design compensates for this decrease. Next, if we are to talk about the largest seat pitch in commercial airlines, we should note that American Airlines has the most generous seat pitch of 31-35 inches on its McDonnell Douglas MD 80. On the other hand, there are some carriers which sell seats with more legroom for an extra fee. 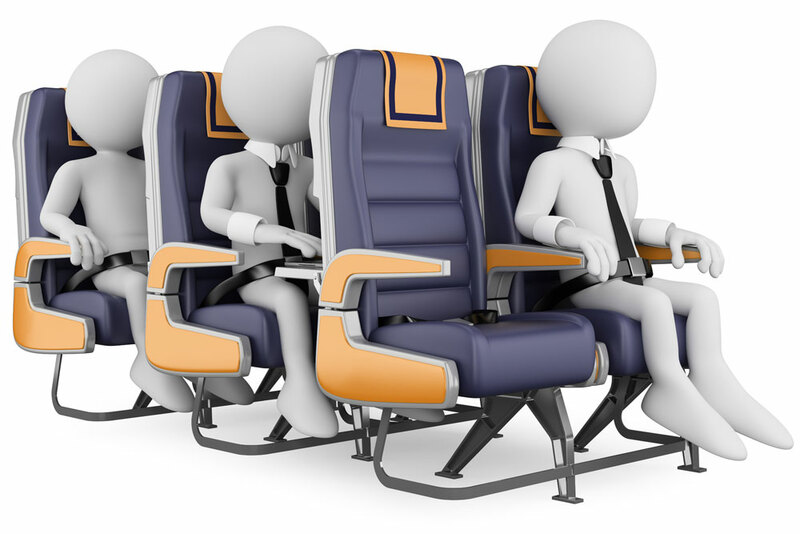 On smaller planes such as Boeing 737 or Airbus A320jets, these seats might be located in the front row, a bulkhead or an emergency exit row. Click on the aircraft for a detailed seat map. Moreover, United Airlines also offers Economy Plus which is in fact a separate section of regular economy seats with more legroom in the economy cabin and which allows you to enjoy more space to work and relax, and be seated near the front of the cabin, so you can exit the plane more swiftly at your destination. If you’re flying with Delta, you’ll be able to enjoy an extra space of approximately 4 inches provided you book an Economy Comfort seat. Economy Comfort seating is offered on Delta’s two-cabin aircraft, is limited and may not be available on all flights. Last but not least, if you want to find the best airplane seats during your next flight feel free to browse through our up-to-date airline seat maps. SeatMaestro offers detailed information on seat pitch (amount of legroom) for each aircraft. Are You For or Against Window Seats?